RALEIGH, North Carolina -- Alamo Drafthouse Cinema has announced they are coming to North Carolina, with their first location opening in the capital city! 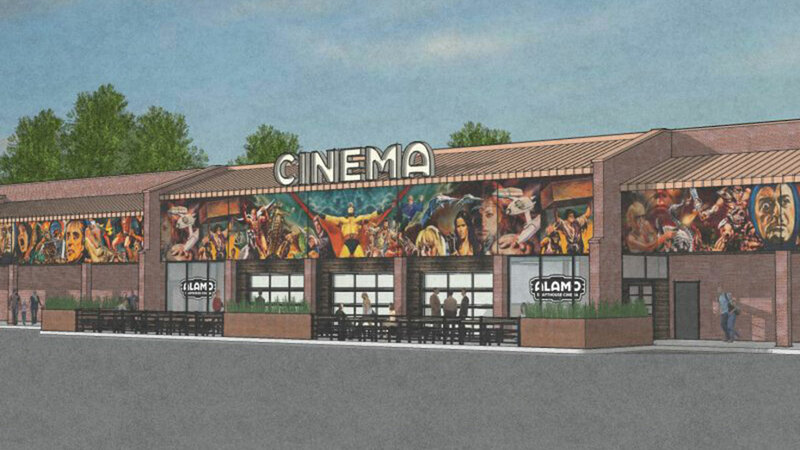 Alamo Drafthouse Raleigh will be an 11-screen theater, bar, and restaurant that will feature 660 seats and a beer hall with 36 local beers on tap, according to a news release Tuesday. The theater, which is expected to open by the end of 2017, will be located in the Longview Shopping Center on New Bern Avenue. It will show new releases, indie, and foreign films, and host special events. The auditoriums will also have luxury recliners, 4K projection, and dynamic surround sound. "It's taken us over five years to find the ideal location for an Alamo Drafthouse in Raleigh, but we feel like we've found it at the Longview Shopping Center," Alamo Drafthouse founder and CEO Tim League said in part in a statement. "We love Raleigh." League added that they were "troubled by the implications of House Bill 2 and the attempts to limit rights of the LGBTQ community in North Carolina." However, he said rather than walking away, they are committing their support and says the company supports "the unconditional repeal of HB2 and have designed our restroom facilities to be adaptable to a future without binary constraints." Alamo Drafthouse Raleigh is currently hiring for some positions to help with opening. The company says closer to the opening date, it will be hiring about 160 additional positions. Visit drafthouse.com/raleigh/careers/join-the-team for more.